Keep an eye out, especially during spring and fall migration, for our September 2016 pick in our 12 Months of Birding at the Inn blog series: The Chestnut-sided Warbler. And guess what color its sides are. Let’s learn more, shall we? The Chestnut-sided Warbler is a beautiful warbler, really and truly. Its look helps set it apart from other warblers — a striking yellow cap, white chest, and rust-colored (chestnut) streaks along its sides. 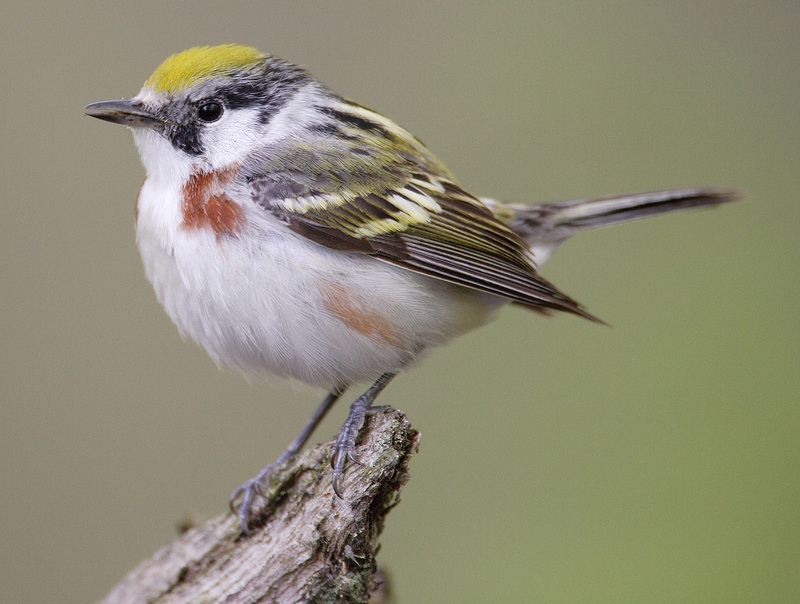 There are some variations between males and females, and nonbreeding males and females, and the Cornell Lab of Ornithology has excellent descriptions of all of them so you can ID the Chestnut-sided Warbler with ease. This entry was posted in Birding in the North Carolina Mountains and tagged 12 Months of Birding at the Inn, birding, Spring, Summer by Inn on Mill Creek. Bookmark the permalink. A chestnut sided warbler flew into our sliders in northeastern ct. Is it unusual for it to be here in May? Hi Carol, they are pretty common here in North Carolina in May due to the spring migration, but we’re not sure if it’s common for them to be in your area this time of the year. We recommend checking with your local Audubon chapter (www.ctaudubon.org) to find out more.